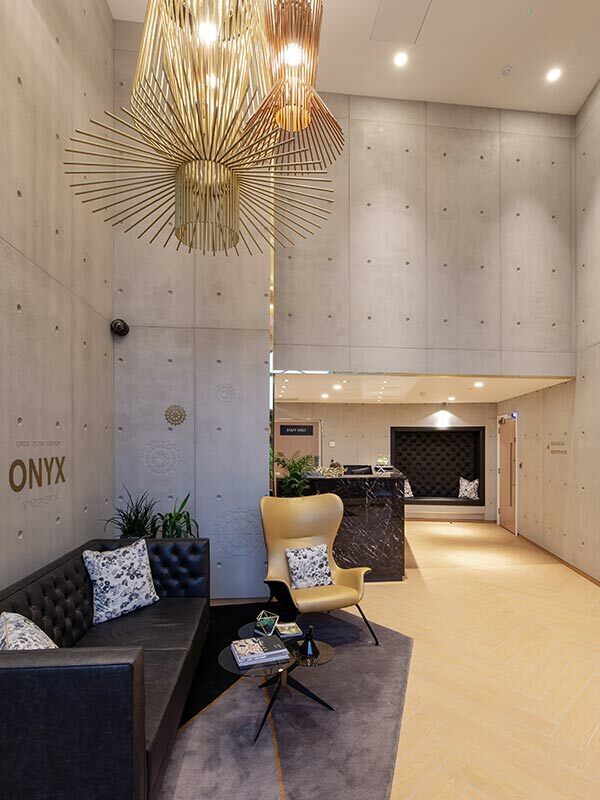 Positioned on the banks of the Regents Canal, a short walk from Kings Cross and St Pancras International Stations, the Onyx Apartments is a stunning new-build development of 117 boutique apartments. Designed by Powell Dobson Architects, the building consists of 1, 2 and 3 bedroom apartments over 11 floors, with an additional 1,600m2 of commercial space at ground level. Conscientiously designed for modern, elegant and professional living, the location of the development benefits from close proximity to the wider regeneration area of Kings Cross. 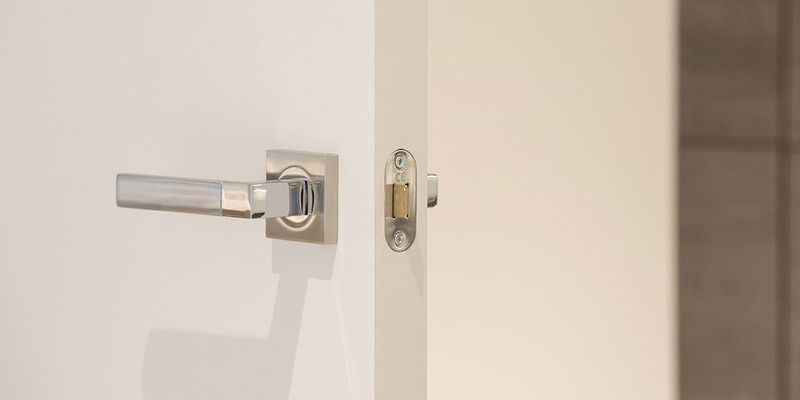 Working with contractor United Living, Doorview were asked to assist with the supply of timber doors and ironmongery hardware for the whole project. 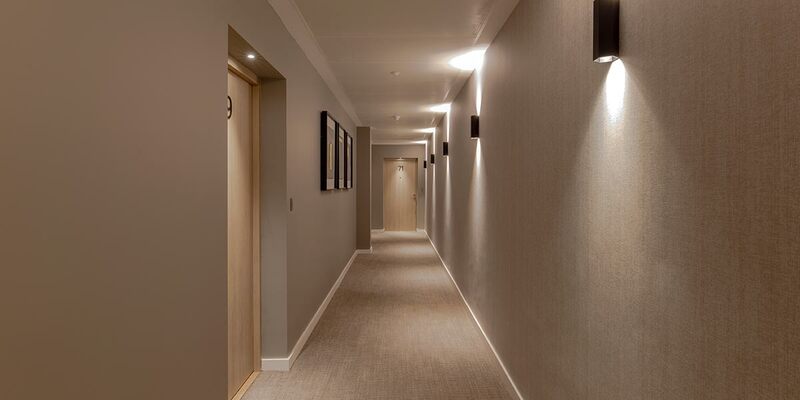 The entrance doors to the apartments required a veneer finish on the external side of the door with a grey finish on the inside, all whilst remaining within budget. 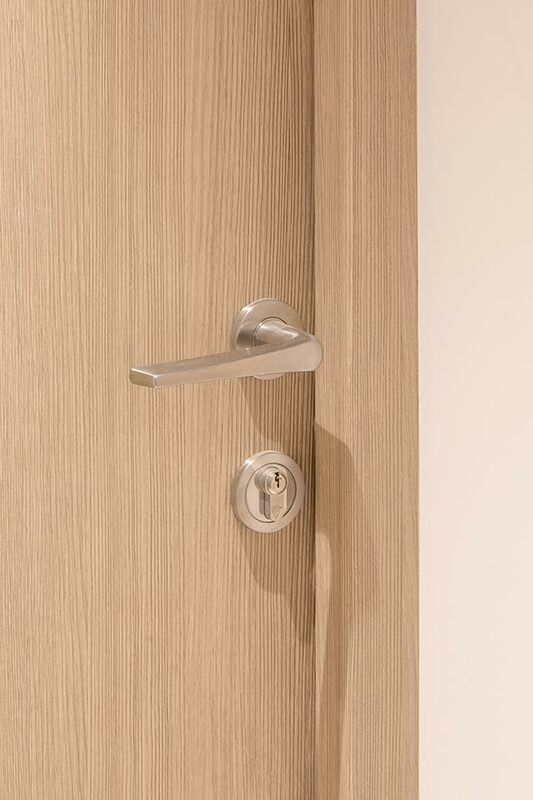 Doorview utilised an innovative 3D laminate with limed larch effect to achieve the veneered finish required on the external side of the doorsets, ensuring cost-effectiveness for the project whilst looking exactly like real veneer. Internally, a 2D grey laminate was applied to the doors, frames and architrave to achieve the split finish required on the entrance doors. 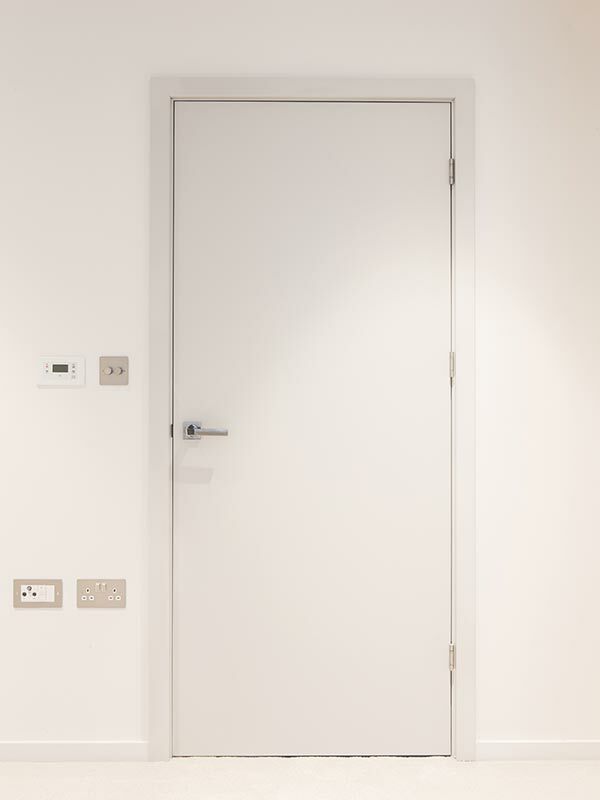 Finally, the doors were independently tested complete with ironmongery hardware to adhere to PAS 24-1 standards. 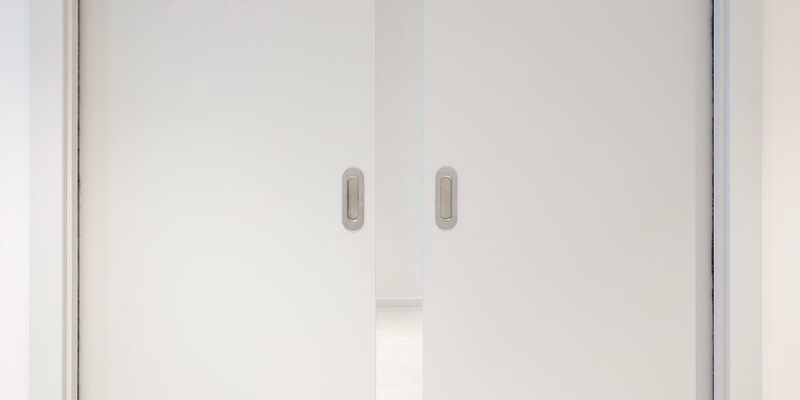 Internal doors within the apartments were supplied finished to match the 2D grey laminate finish of the internal side of the entrance doors with sleek lever handles on square roses and all ironmongery hardware. 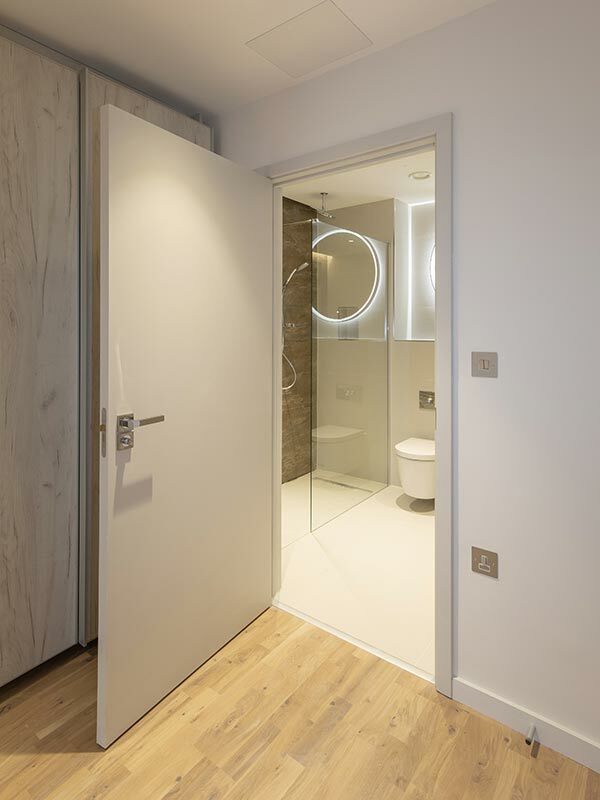 In addition, to ensure that the living spaces had flexibility built in, double sliding pocket doors were fitted between the open-plan living space and the main bedroom of the flats. 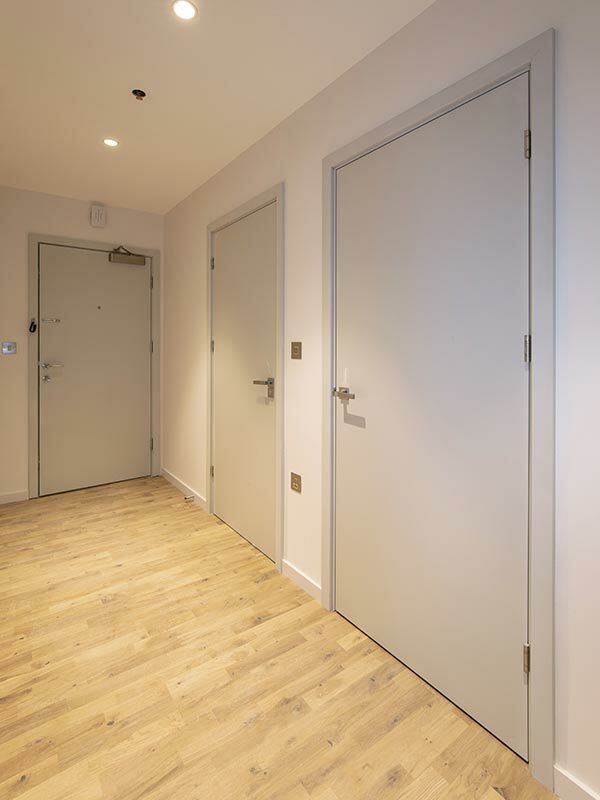 Finally, 3D laminate limed larch effect doors were supplied to the concierge and communal areas to provide consistency of finish in communal areas.